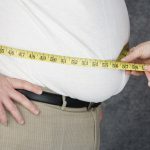 You are here: Home / Question of the week / Question of the week: why are so many more men than women obese or overweight? In Switzerland, like much of the world, far more men than women are overweight or obese. In Switzerland more than twice as many men (42%) as women (20%) are overweight or obese. 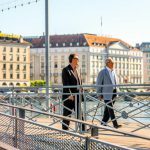 62% of men in Switzerland between the ages of 50 to 64 are obese or overweight. The same figure for women is 40%, a still alarming figure. 54% of men between the ages of 25 and 49 are obese of overweight compared to 28% of women of the same age. The excess-weight problem seems to start early. 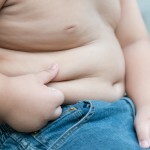 33% of young males (15-24) in Switzerland are obese or overweight compared to 17% of females of the same age. Obesity in Switzerland costs nearly CHF 8 billion a year, or around CHF 1,000 per person. The most costly obesity-induced ailments are depression (22%), osteoarthritis – extra weight stresses joints and fat tissue produces proteins associated with joint inflammation (21%), diabetes (19%), heart disease (19%) and asthma (10%). Some experts think men are less likely to view excess weight as a problem and are less likely to diet or join a weight loss programme. Why is this? 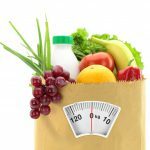 The obesity figures are based on the body mass index (BMI). Why are men fatter? It could be a knock on effect of equality. Women going out to work rather than being housewives. Men generally cannot cook, so live on fast food. Maybe cooking courses for men are the answer.